This is the first example of the contribution of pigeons to Decorative Arts. 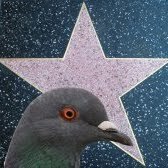 In most films pigeons are living creatures that briefly appear during the recording. However, in The Tudors series, we can see a pigeon appearance in King Henry VIII's court. This pigeon is not a living specimen but a dead decorative object. In the scene, Henry is in the search of a new wife. He talks with the French ambassador and inquires about possible candidates. During the conversation, Henry’s assistants serve a sumptuous meal and we can see the decorative pigeon in this scene. More precisely, a wood pigeon. An interesting taste. Here we can see the pigeon on the top of a tray full of culinary delights. 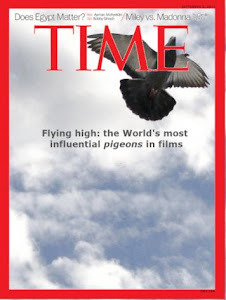 The pigeon can be see on the lower-right corner. Pigeon activity: None. It is a mere decorative object. Symbolism: This pigeon was used as a simple decorative artefact. Was it considered to be an exotic/luxury animal in the 16th century? Relevance: None. It is a short appearance. Training level: None. It is a stuffed pigeon.